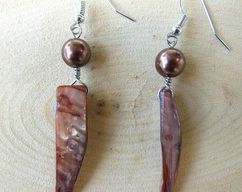 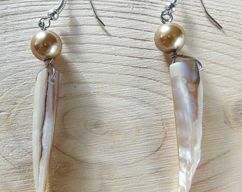 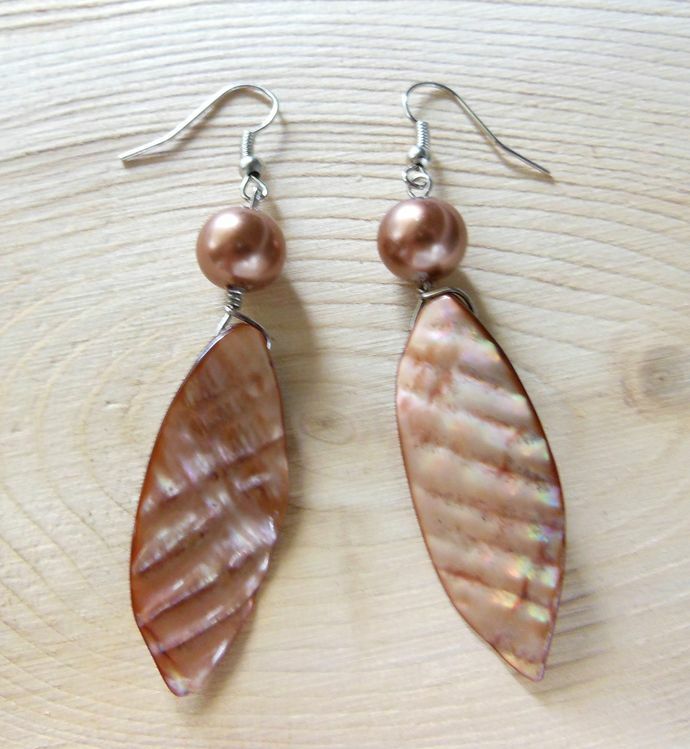 I used leaf-shaped, copper pink, iridescent shell beads as the focus of these earrings. 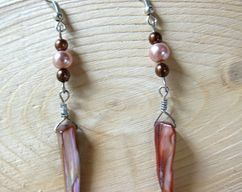 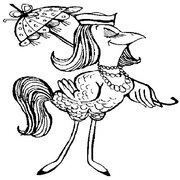 They are accompanied by copper-colored glass pearls. 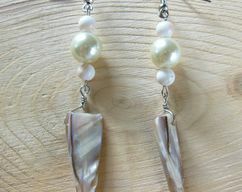 The metal components are silver-plated.